Salary: £16,500, Share Scheme, Pension, Flexible working and 25 days annual leave. Who are Caterpillar? What do you do? We are the world's leading manufacturer of Construction and Mining Equipment, and one of the world’s most respected Companies and Brands in the World. 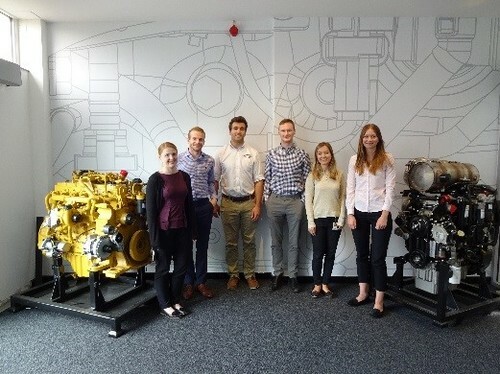 At Peterborough we design, develop and manufacture the Powertrain Solutions for Caterpillar and other OEMs; as well delivering analytics and digital services to our customers. By following our industrial placement scheme you will be able to explore various roles and disciplines around the business to help develop your career. Our core values (Integrity, Excellence, Teamwork, Commitment and Sustainability) are key to our success. You will be working as part of a global engineering team helping to create sustainable, world-changing solutions that impact lives around the globe. Every single employee moves our company forward. Piece by piece, part by part, person by person. Join our winning team and help build a better world. We will provide you with a mentor to support you throughout your professional development to help you gain Chartered or Incorporated Status. We also operate a conditional offers process, our highest performing placement students are fast-tracked to our graduate development scheme with an offer upon returning to university. This includes a financial incentive and the potential of a summer work placement. We really value diversity at Caterpillar and the benefits to our business it provides – we will provide you with the opportunity to collaborate and share your creative ideas throughout your career. As the type of roles within our business are becoming more diverse we are looking for people who are open minded, excellent problem solvers and who have the ability to learn quickly. prior engine knowledge is not required. We will provide you with the training and support you need to be successful at Caterpillar. Applicants should be studying for a degree in Engineering or Applied Mathematics and Science and be on track to achieve a minimum of a 2:2. We are looking for talented, ambitious people from various backgrounds who are interested in setting out on the road to success.